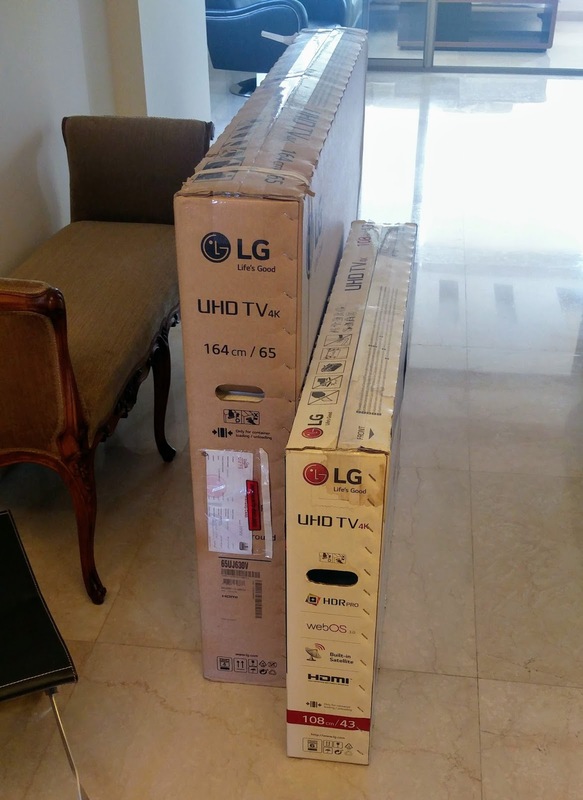 Buying a major appliance or gadget in Lebanon can be a telling lesson in both ethics and the treatment of women as second-class citizens, as I recently unearthed. We were shopping around for a Smart TV. You know the sort: Ultra High Definition broadcast, 4K resolution, 65-inch screen. In short, state-of-the-art technology. Blame my husband’s Netflix fetish and occasional PlayStation dabbles – these pastimes can command a pretty penny! After comparing prices at the big retailers like Khoury Home and Agha Sarkissian, we were directed to a discount liquidator in Zouk Mosbeh who has apparently been thriving for years. Lo and behold, our TV of preference listed at 10% off published prices elsewhere. A one-year manufacturer’s warranty was also guaranteed. Done. Bought. We were thrilled at the savings. In fact, we left the shop with close to US$ 4,500 in purchases to equip our new flat in Greater Beirut. The tally included a refrigerator, washer, dryer, microwave, and two UHD TVs. A couple of days later, a duo of servicemen arrived to our home to install the items. I oversaw their work. 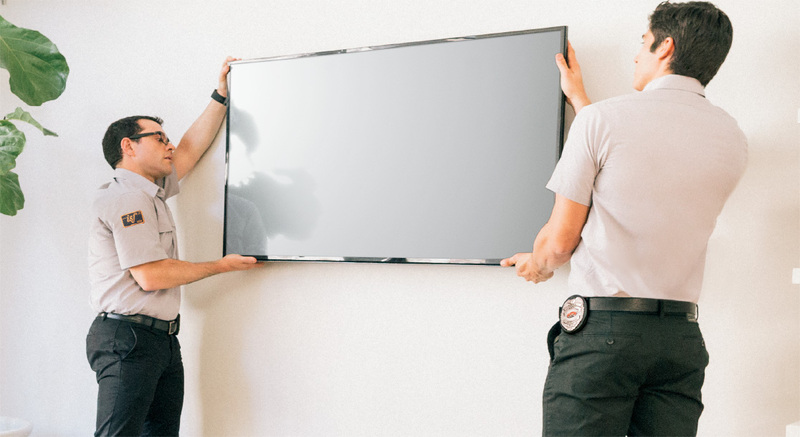 One dealt with the kitchen appliances, while the other took to mounting the TVs on the walls. There were inevitably a few hiccups – the need to introduce a separate outlet for the dryer, positioned just above the washer; a faucet to feed into the washer; an adapter to accommodate the fridge's British three-pronged plug. Everything we managed within reason, except the electricity shortfall which left us unable to test any appliance. Our subscription to the neighborhood generator, alternatively known as “moteur,” hadn’t yet kicked in. Expectedly, things took a little longer than the technicians had allotted for, and toward the end they were hasty. So hasty in fact that they almost threw out one of the warranty slips, which I had to retrieve as they were dragging out the cardboard boxes for disposal. One thing they did succeed to discard was the Magic Remote of the 65” LG UHD 4K TV (mouthful of acronyms there!). Unfortunately, the realization didn’t set in until the next day, when I returned to the house to test for proper functionality of all the items. As soon as I made the startling discovery, I dialed one of the servicemen. “I left it on the table, Miss,” he replied matter-of-factly. It hadn’t taken me long to search the vacant house, which heretofore had only been outfitted with appliances and beds. Seeing as I wasn’t making any progress with the technician, I contacted the shop owner. “But didn’t you test out the TV after it was installed?” he asked sensibly. Only in Lebanon can the electricity be employed as a valid scapegoat for many predicaments. I relayed to him how the technicians had been impetuous and had thus swept out the boxes before I could account for all the warranties. The remote and user guide must have remained in the TV box, which was likely being buried in a landfill by now. As in seemingly much disbelief as I found myself in, the owner promised to order me a replacement remote the following Monday. How long would it take for its arrival, I queried? Just a day or two, he insisted. A day or two elapsed, and still no word, naturally. So I rang him. This wasn’t the time to channel ego, so I dialed back at 5:15. The owner answered and said to come fetch the remote Thursday at 3 PM. With German-like punctuality, I pulled up to the shop at the appointed time, bumping into the salesman who’d so persuasively sold us the TVs and appliances. I explained the situation to him, and suspicion crept across his face as he pulled out his phone to call the owner. He retreated to a corner of the shop and spoke in huddled whispers before hanging up and instructing another employee to go upstairs and bring me the remote control. “Where did you get this?” I prompted. I let 24 hours elapse before I zipped back to Zouk Mosbeh the next day, Friday. To my horror, the remote had still not materialized. You’d think the LG warehouse were in Arsal or, better yet, war-torn Syria, that it needed more than a week to deliver. The drive from Nahr el Mot to Zouk Mosbeh didn’t merit more than an hour during peak traffic, so what the hell was going on? Again, rather condescendingly, both salesman and owner attempted to reassure me that this was the very same remote, and that I was being unjustifiably obstinate. I finally acquiesced and took the spare remote home. Did the TV recognize it? By this time, it was clear that only minced words and a masculine display of aggression would resolve the debacle. So my husband and I drove up to Zouk Mosbeh early Saturday morning. I waited for Jimmy in the car as he went inside and communicated his point. He returned the defunct remote to the owner and told him to come collect the TV, that we no longer wanted it and that we’d made a sore mistake shopping at his outlet to begin with. When the owner, near hysterics, promised Jimmy that the original remote would reach our possession the coming Monday or Tuesday, Jimmy lashed out that it had better be Monday. We drove down to the LG showroom to seek clarity. One of the salesman was amused by our story, which screamed nonsense every time we recounted it. He carefully cut open a box housing the same TV we’d acquired and brandished the remote so that we could discern the difference between the sham and the original. Then in a moment of eureka, he handed us the portable phone and told us to dial the shop owner. We were to explain that we were visiting the LG showroom and could pick up the remote he’d ordered, sparing him from the so-called wait time he had claimed was beyond his control. Bizarrely enough, one of his employees had been dispatched on our heels to the warehouse to obtain the remote, and we intercepted him on-site. Finally, the correct Magic Remote surfaced, and we took it home. That was effortless. Moral of the story? Doing the right thing only takes a second. Had the shop owner been honest and genuine, we would have had the original remote the same or next day after ordering it. Instead, he elected to defer, particularly because it was a gullible, patient woman, i.e., me, playing gofer. As soon as my husband flexed some muscle, action was taken and the remote was transferred to our custody. Second moral of the story? Ladies, we have a long way to go around here before we attain real clout. Social Media Gone Wrong: Can You Relate? Lebanese Restaurant Wars: Scam or Not? Some ten years ago, on one of my frequent visits to Lebanon, I decided to finally purchase a TV set for my mother who, like most old people, had fought the idea of acquiring a new set every time I brought up the subject. Back then, I had no knowledge of Khoury Home or Abed Tahan or the other big retailers. All I knew there was no Best Buy or Circuit City. However, there was a nicely decorated independent electronics store two blocks from her house. I went in, saw a 50-inch Sony, liked it, and, even though I knew the price was too high, I forked out the thousand dollars, brought the TV home, installed it and showed my skeptical mother how to use it. In a few days, after seeing the difference in picture and sound, my mom’s frown lines were gone. She was glad to have the new TV. I will make the rest of the story short. The shop gave me the typical Lebanese song and dance. I had no stomach for that. I took the TV set to the SONY dealer in Beirut (My mother lives in Tripoli). The technician duly compared the serial number to the list on his computer screen. The room got quiet. I heard a whimper followed by a gulp, and I saw a simultaneous wince on his face, much like what your LG guy probably had. The TV set had been smuggled into the country, I found out. It wasn’t even a Sony. Merchants in Lebanon (OK, most, not all, merchants in Lebanon), just like drivers (OK, most, not all, drivers) in Lebanon, are bala akhla2! They are like vultures. Vultures don’t care whether their prey is female or male. Similarly, Lebanese merchants would lie to you as effortlessly as greet you; they screw you over without one twinge of conscience, whether you’re a man, a woman, or transsexual. So the moral of my sob story: Go to big retailers and pay a little more. That would reduce the chances of getting duped by those SOBs and feeling remorse over a remote.